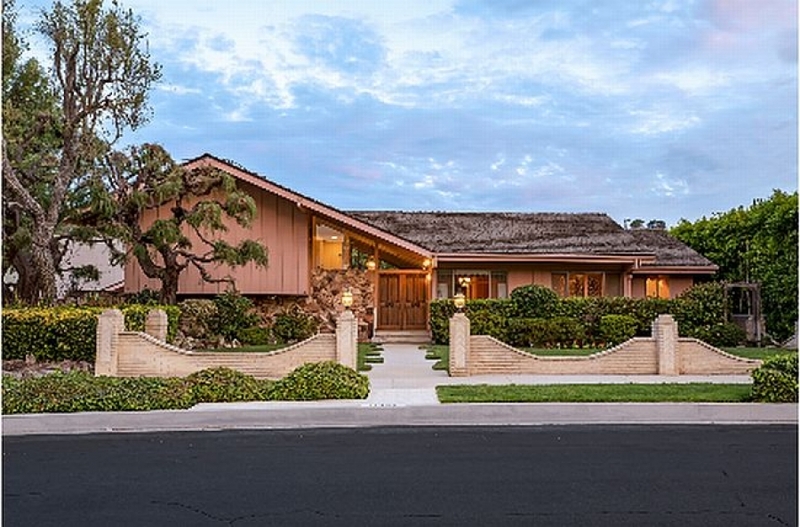 In a move perhaps few predicted but nearly everyone seems to love, the “Brady Bunch” house has been purchased by HGTV, who plans to restore the Studio City, CA residence “to its 1970s glory as only HGTV can.” Commence giddiness. As expected, the house received multiple offers, most notably from a “heartbroken” Lane Bass. The famed member of ‘N Sync expressed his sorrow at missing out on the house, having believed he made the winning offer (reported to be just under $3 million, well above the sub-$2 million asking price) and even remarking that he felt he was “used” to drive up the price; Zaslav did not reveal the value of the accepted offer. Bass’ stance softened, however, once he learned who the buyer was. Photo courtesy of Anthony Barcelo via Ernie Carswell & PartnersMore specifics about what HGTV has in mind for the restoration have not been released, but the channel is already teasing what is bound to be an uber-popular project. “Guess who has a big project planned for this iconic ‘70s TV home? Watch for more clues, coming soon,” the network says in its post, according to the San Jose Mercury News. Excellent. We can’t wait. But, also, we have ideas. On behalf of Brady Bunch (and HGTV) fans everywhere, here are 10 things we hope to see from this match made in TV heaven. 1. A multi-part show. Please, PLEASE, HGTV, let this be a series. We would gladly watch a one-off, but showing a season’s worth of design meetings and exhaustive searches for just the right color stain for the panels high up on the living room wall and watching the reno itself as a home that is, admittedly, somewhat stuck in the 70s already transforms into Brady World would be even better. 2. A rotating crew of HGTV designers. Why have one when you can have a dozen? Maybe they each do a room. Perhaps they go the cross-pollination, collaborative route. Either way, seeing the channel’s famous faces dive in to such a significant project would be spectacular. Side Note: How much do you want to see Drew and Jonathan Scott on a field trip in search of avocado green appliances or overseeing the production of orange laminate countertops?! 3. Astroturf. While the actual home features “lush backyard gardens,” the TV show backyard featured a faux grass yard. What better way to say, “We’re eco-friendly” in 2018! Photo courtesy of Anthony Barcelo via Ernie Carswell & Partners4. Brady guest stars. Sadly, the actors playing Carol, Mike, and Alice, plus Tiger the family dog, didn’t live long enough to see this day. However, Cindy, Bobby, Jan, Peter, Marsha and Greg’s real-life counterparts are all still alive. Are you not picturing Maureen McCormick’s Marsha giving us a tour of the girls’ bedroom, complete with first-person accounts and intimate backstory? 5. Real Bradys. We wouldn’t mind seeing Wayne Brady show up just for yuks, or Tom Brady making a guest appearance. We’re picturing him diagramming the scene in which Peter overthrows Bobby in the backyard and hits Marcia in the nose with a football! 6. Paneling. The boys’ bedroom was famously covered in dark brown vertical planks, a clear precursor to today’s shiplap obsession. Paging Joanna Gaines! The designers will get a head start in the paneled living room of the existing home, which also features a stone fireplace reminiscent of the one in the TV home. 8. That wall mounted phone. It’s worth it just for the funny factor. See what we mean here with this video of millennials trying to use a rotary phone. 9. Some bunk beds. They’re a given, right? I mean, how else do you get three boys into one bedroom?! There are much more modern options for both beds and bedding, but we love the boys’ blue bunks and coverlets. The nautical wallpaper…not so much, but we’re still on board for authenticity’s sake. And speaking of authenticity, we’re guessing the pink toile in the existing master bedroom may be replaced with something a bit more muted to match Mike and Carol’s master. Photo courtesy of Anthony Barcelo via Ernie Carswell & Partners10. That iconic open staircase. It’s one of few items in the home that would still look somewhat current and also be a standout today. And one bonus that tops our wish list: Lance bass as host. I mean, how can you not? !